In the winter of 1963, Hakeem Olajuwon was born to the owners of a cement business in Lagos, Nigeria. "They taught us to be honest, work hard, respect our elders, believe in ourselves," Olajuwon once said of his parents. In his middle-class childhood, Olajuwon played handball and soccer, but it was not until the age of fifteen that he was exposed to basketball. After entering his first tournament, he realized that he was remarkably skilled at the sport. Within two years he had arrived in Texas, where he played for three seasons at the University of Houston. In 1983, he won the NCAA Tournament Player of the Year Award; he also led the Houston Cougars to two straight NCAA championship games. As the number one pick in the NBA draft in 1984, he could boast of being chosen two spots ahead of Michael Jordan. NBA analysts now consider him to be one of the twenty best players in the history of professional basketball. Olajuwon is just over 6'10." He perfectly exemplifies what might be called the Height Trumps Experience Rule, which I have just coined. This rule stipulates that people who are at least a foot taller than the average height will excel at a chosen sport, especially when height is an advantage in that sport. The rule also obtains when the individual in question discovered the game relatively late in life, and spent little time practicing during his or her youth. It sheds light on a variety of hitherto unexplained phenomena. I hope to be recognized for it. I have done my best to tell Olajuwon's story in a Gladwellian manner, because it is an axiom of Malcolm Gladwell's method that a perfect anecdote proves a fatuous rule. Outliers: The Story of Success does not mention Olajuwon, but it does expound at length on people who distinguish themselves in their particular field, and can therefore claim the label of Gladwell's title. Gladwell does not attribute achievement to genetic gifts, which is nice. Instead he proposes that group dynamics and cultural legacies play a decisive role in determining how far human beings advance. He dislikes attributing individual accomplishment to the accomplishing individuals. He has set out to prove that people with social advantages do better than people without social advantages, and so the really wise thing for society to do is to arrange for more advantages for more people. Gladwell is fond of quirky factors. The unexpectedness of his explanations often disguises their banality or their error. In his new book, he is particularly interested in examining the amount of time that must be spent honing a skill or a craft, although his larger point is that society frequently plays a role in providing people with the opportunity to do so. "The idea that excellence at performing a complex task requires a critical minimum level of practice surfaces again and again in studies of expertise," Gladwell reports. (I hope those studies did not cost too much.) After quoting a psychologist who said that Mozart spent ten years composing before producing a masterpiece, Gladwell goes a-quantifying: "And what's ten years? Well, it's roughly how long it takes to put in ten thousand hours of hard practice. Ten thousand hours is the magic number of greatness." Much of this chapter, which is called "The 10,000-Hour Rule," focuses on Bill Joy, the co-founder of Sun Microsystems and one of the world's finest computer programmers. After he tells Joy's story, Gladwell turns to his interview with Joy: "'I was proficient by my second year [at Berkeley]. That's when I wrote programs that are still in use today, thirty years later.' He paused for a moment to do the math in his head--which for someone like Bill Joy doesn't take very long. Michigan in 1971. Programming in earnest by sophomore year. Add in the summers, then the days and nights in his first year at Berkeley. 'So, so maybe ... ten thousand hours?' he said finally. 'That's about right.'" The Tipping Point: How Little Things Can Make a Big Difference, Gladwell's first book, defined three "rules" that allow fads, or social epidemics, to spread, or tip. The problem was that his examples often did not meet all his criteria, making them less like rules and more akin to conditions that sometimes accompany epidemics. Here he is more careful. "Is the ten thousand hour rule a general rule of success? If we scratch below the surface of every great achiever, do we always find the equivalent of the Michigan Computer Center?" He proposes that we "test" this rule with two examples, and that "for the sake of simplicity, let's make them as familiar as possible." One example is Bill Gates, who for a variety of reasons was able to practice programming continuously throughout his adolescence and early adulthood. The Beatles are his other example, and they practiced in Germany before coming to America. Gladwell strangely refers to this period as the "Hamburg crucible," and quotes one Beatles scholar, Philip Norman, as saying that it was "the making of them." Put aside for a moment Gladwell's account of the Beatles' ascent to greatness. Gladwell wants us to believe that when Joy was asked how long he had spent programming, he managed to produce, without prodding, the Mozartean number of ten thousand hours. This anecdote casts Gladwell's mode of argumentation in rather a harsh light. By any reasonable estimate, Hakeem Olajuwon had spent significantly less than ten thousand hours playing basketball when he became one of the best college players in the country. If Bill Joy qualifies as evidence of The 10,000-Hour Rule, and Olajuwon counts as evidence of the Height Trumps Experience Rule, what are we to conclude from this disparity? About the roots of success, very little. But the conclusion is inescapable that the explanatory power of nifty little stories may be very limited. Unfortunately, Gladwell has chosen to live by them. "Success" is a wild generality, of course. It comes in many forms and occurs in many realms; and each of those realms has its own standards and rhythms and methods. When one begins to bear down analytically on Gladwell's anthology of success stories, it is not at all clear how they go together. Is ten thousand hours of composing music really just like ten thousand hours of computer programming? And didn't Salieri also have ten thousand hours of composing music under his belt and remain notoriously without greatness? Maybe Gladwell's ten thousand hours means no more than that experience makes a difference; but such a lesson also falls short of greatness. Gladwell's association of greatness with success is a fundamental and revealing error--a characteristic illusion of our era of winner-worship. In the cult of winning, Gladwell is a high priest. Gladwell's tidings about the origins of success would have amused Richard Hofstadter. In Anti-intellectualism in American Life, Hofstadter explored how the story of business in America became intertwined with the idea of the self-made man: "The topmost positions in American industry, even in the most hectic days of nineteenth-century expansion, were held for the most part by men who had begun life with decided advantages. But there were enough self-made men, and their rise was dramatic and appealing enough, to give substance to the myth. ... The horizons of experience were scanned eagerly for clues as to how this transformation could be accomplished." Here Hofstadter introduced his readers to the role of self-help books in furthering the "self-made" narrative. "Self-help was discipline in character," he observed. "The self-help literature told how to marshal the resources of the will--how to cultivate the habits of frugality and hard work and the virtues of perseverance and sobriety." One of the most important facets of American self-help literature was its rejection of the idea of genius. "The conception of character advocated by the self-help writers and the self-made men explicitly excluded what they loosely called genius," Hofstadter wrote. "The prevailing assumption in the self-help literature was that character was necessary and remarkable talents were not." Norman Vincent Peale, in The Power of Positive Thinking, his influential manual on achieving the good life, captured this attitude perfectly when he told the edifying tale of a C-student who dreams that he can earn As like his brother. Not only did the brothers' distinct academic careers have little to do with genius or intelligence, Peale proposed, but they also in no way prefigured which sibling would succeed in the real world. With hard work and inner fortitude, anyone could prosper. It did not elude Hofstadter's notice that this theory of success often tended to slight the value of liberal education, and could therefore be identified with anti-intellectualism. Hofstadter's discussion of self-help in modern America occurs in the broader context of a chapter on business, which, he observes, has often been viewed by intellectuals as the "classic enemy" of intellectualism. "Businessmen themselves have so long accepted this role that by now their enmity seems to be a fact of nature," he remarked. "No doubt there is a certain measure of inherent dissonance between business enterprise and intellectual enterprise: being dedicated to different sets of values, they are bound to conflict; and intellect is always potentially threatening to any institutional apparatus or to fixed centers of power." Hofstadter understood, though, that historical events could ameliorate the tension between businessmen and intellectuals. In the past dozen years of economic growth, which ended in December 2007, the unease that Hofstadter detailed was less evident than it had been in any other era in recent American history. 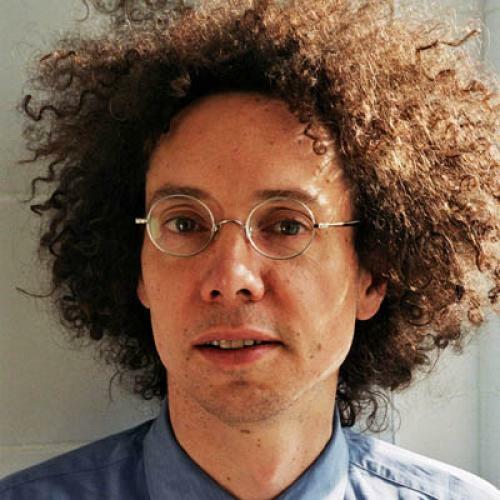 When Malcolm Gladwell began writing for The New Yorker in 1996, the economic "boom" had reached the stage where its effects could be glimpsed in the culture and even the language of the country. Robert Rubin and Alan Greenspan were celebrated as intellectual giants who transcended the worlds of finance and politics. The expansion was so astounding as to seem arcane; and the time was ripe for a writer to explicate the seemingly mysterious phenomena, and to instruct readers--especially in the business community, which is always looking for a new theory of the deal--in the arts of all this epoch-making marketing. At just the right moment he came along and in disarmingly affectless and faux-naïf prose adapted the work of academics and sold it to a mass audience. Historians will look back on his books as primary documents of their dizzily materialistic day. But Gladwell's new book is intended as a rejection of the self-help ideal. He aims to turn the reader's attention away from factors such as willpower and fortitude, away from personal qualities altogether, and toward the social settings in which people operate. Bill Joy may have been an intelligent college student, but he also attended a school that was extremely accommodating to his needs. (He could program endlessly because of a bug in the college's time-sharing system.) "Before he could become an expert," Gladwell writes, "someone had to give him the opportunity to learn how to be an expert." So Gladwell is turning the old self-help paradigm on its head: you need the will to practice your craft, to be sure, but it is the context that will decide. And by focusing on social dynamics, Gladwell once again displays impeccable timing: extensive social science research has recently detailed the importance of social networks in understanding everything from the Internet to international terrorism. Gladwell touched on some of these themes, and produced some of these same effects, in his previous books. In The Tipping Point, he referred to The Power of Context, the idea that "human beings are a lot more sensitive to their environment than they may seem." There he cited a number of well-known studies, the most infamous of which was probably the Zimbardo Stanford Prison Experiment. In that experiment, students were chosen as either guards or prisoners in a mock prison, and in less than a week the guards began to terrorize the increasingly unstable inmates. Gladwell used the results to show that external conditions greatly affect human behavior. I know of no individualist who would dispute such a finding. Outliers begins with the history of Roseto, a small town in the Lehigh Valley region of Pennsylvania. A doctor named Stewart Wolf spent time in Roseto in the 1950s, and was shocked to find that there were almost no incidents of heart disease in people under the age of sixty-five. Most Rosetans were first- or second-generation Italian immigrants who cooked with lard and ate copious amounts of rich Italian desserts. Many of them had weight problems. But Wolf and a sociologist friend had an explanation for the heart-disease statistics. "In transplanting the paesani culture of southern Italy to the hills of eastern Pennsylvania," Gladwell explains, "the Rosetans had created a powerful, protective social structure capable of insulating them from the pressures of the modern world. The Rosetans were healthy because of where they were from, because of the world they had created for themselves in their tiny little town in the hills." So Roseto was an outlier. "I want to do for our understanding of success," Gladwell announces, "what Stewart Wolf did for our understanding of health." The strongest evidence for Gladwell's argument comes under the rubric of something he calls the "Matthew Effect," which derives its name from a passage in the Gospel of Matthew: "For unto every one that hath shall be given, and he shall have abundance. But from him that hath not shall be taken away even that which he hath." Roger Barnsley, a Canadian psychologist, noticed something odd about the birthdays of Canadian hockey players. It did not matter whether he looked at professional players or elite junior-leaguers: 40 percent of them were born in the first trimester of the year, and 30 percent of them were born between April and June. The cutoff date for admission in Canada's youth hockey league is January 1, which allows pre-teen hockey players born in January and February to compete with kids who are as much as eleven months their juniors. The older players, generally more physically developed and skilled, get selected for all-star teams. "And what happens when a player gets chosen for [an all-star team]?" Gladwell asks. "He gets better coaching, and his teammates are better, and he plays fifty or seventy-five games a season instead of twenty games a season like those left behind." Circumstances matter. What begins as a slight age advantage becomes a self-fulfilling prophecy. Gladwell acknowledges that the people who rise to the professional level in hockey are also talented athletes, but what fascinates him, what he wishes to bring to the attention of people looking to succeed, is the web of elements outside their own control. This is self-help that does not think very much of the self. Another chapter tells the story of Chris Langan, whom Gladwell describes as a "celebrity outlier" and, oddly, as the "public face of genius" in American life. Langan taught himself to read at the age of three, and at sixteen he had consumed the Principia Mathematica. (Bertrand Russell was a fitting choice: the five-year old Langan had harangued his grandfather with questions about the existence of God.) Langan's IQ was actually too high to be measured, but Gladwell shows that Langan was raised in a difficult environment. His father was absent. One step-father committed suicide, another was murdered, a third drank too much. Langan even lost his college scholarship because of a paperwork mishap. Although he eventually won one-quarter of a million dollars in game-show money, he never recorded the spectacular achievements that had once appeared within his reach. Much of the remainder of Outliers is taken up with more and less believable explanations of how social networks affect individuals, but gradually the focus becomes clouded. Gladwell has a long chapter on "The Ethnic Theory of Plane Crashes." Why was it that Korean Air's flights were crashing seventeen times as often as United Airlines' flights? South Korea has a notably high "Power Distance Index," which is measured by how often employees are willing to question their bosses, and by how much fear is exhibited toward those with greater social standing. When problems arose in the cockpit of Korean Air planes, pilots were frequently shown too much deference, and underlings were afraid to speak up. Eventually Korean Air brought in an expert from Delta, and he forced company employees to focus on their cultural legacies, and how those legacies affect flight performance. Here Gladwell seems to have amplified his collective explanation for individual achievement to tell us that societies, too, are affected by their shared histories. Society is socially determined. Well, yes. I have no idea what this chapter is doing with the rest of the book, except that its author thinks it is cool. Often Gladwell's discussions are not internally coherent. He wants to know why students in East Asian countries score well on math tests. He introduces the topic with a long digression on rice cultivation. Comparing East and West, he instructs: "In Japan or China, farmers didn't have the money to buy equipment.... So rice farmers improved their yields by becoming smarter, by being better managers of their own time, and by making better choices.... Throughout history, not surprisingly, the people who grow rice have always worked harder than almost any other kind of farmer." And this hardship was partially redeemed by "the nature of that work.... It was meaningful. The harder you work a rice field, the more it yields." When he belatedly turns to the topic of Asian success at math, he does not make any effort to connect it to his discussion of rice paddies, even though he views high test scores to be the direct consequence of toiling in the paddies. "The genius of the culture formed in the rice paddies is that hard work gave those in the fields a way to find meaning in the midst of great uncertainty and poverty," he writes. "That lesson has served Asians well in many endeavors but rarely so perfectly as in the case of mathematics." This is the sort of generalization about cultural and national character that can easily be put to very nasty uses. By the time Gladwell reaches his penultimate chapter, he is in full inspiration mode, and impervious to all forms of critical thinking. He tells the story of Marita, a Bronx student from a single parent home, who attended a KIPP (Knowledge Is Power Program) school. "Marita just needed a chance," Gladwell explains with homiletical emphasis. "And look at the chance she was given!" Gladwell believes that KIPP--a network of charter schools with more than fifty campuses nationwide--has "succeeded by taking the idea of cultural legacies seriously." Test scores for socio-economically disadvantaged children tend to suffer more from a long summer break, presumably because, as Gladwell explains, "privileged kids learn while they are not in school." For poor children, "America doesn't have a school problem. It has a summer vacation problem, and that's the problem the KIPP schools set out to solve." KIPP did so, Gladwell claims, by extending the school day and instituting a mandatory summer school program. Unfortunately, many education experts would attribute KIPP's success to more than the extra-long hours. According to a recent report from the Education and the Public Interest Center, there is "no strong evidence" linking KIPP's impressive results to extra time in the classroom. And when Gladwell observes that "[KIPP] decided to bring the lessons of the rice paddy to the American inner city," he, well, muddies his argument. There are no rice paddies in the Bronx. Collective memory is hardly a more vivid element in the lives of young people than their own temperaments and aptitudes, and the way they actually live and act. KIPP schools may take cultural legacies more seriously than other schools do, but I expect that this extra attention is likely the result of looking at the same test results--taken in America, before and after summer vacation--that Gladwell adduces in his book. Even more absurdly, Gladwell traces the typically American concern that children work too hard to Western agricultural practices, because Western wheat fields were allowed time to fallow, ensuring that the soil remained fresh. "This is the logic," Gladwell says, that "the [pre-KIPP] reformers applied to the cultivation of young minds. " So one theory of cultivation leads to another theory of cultivation, and for no reason other than that the word is the same. It is Gladwell's discussion of IQ that gives the clearest window into his thinking, and also most acutely exposes the problems with this shallow and irritating book. Gladwell proposes a "threshold" theory of IQ tests, which he introduces by saying that "the idea that IQ has a threshold, I realize, goes against our intuition." He uses this theory, which posits that once your IQ reaches a certain threshold it ceases to matter what score you earn, to defend the affirmative action program--upheld by the Supreme Court six years ago--at the University of Michigan's law school. According to research to which Gladwell alludes, minority students who graduated from the law school performed as well as white students in the professional world. It did not matter whether the minority graduates had less impressive academic credentials upon admission, because they reached the threshold. His argument here is sometimes confusing--is he talking about IQ tests or grades? Does Michigan give its students IQ tests before admitting them?--but otherwise it is clear enough. Gladwell thinks that there is something "profoundly wrong with our idea of success," but he never provides an explanation of what idea of success he means. In an early chapter, he quotes Jeb Bush saying that being the son of a president is actually a disadvantage to one's business career, and notes that the former governor referred to himself as a "self-made man." "[I]t is a measure of how deeply we associate success with the efforts of the individual that few batted an eye at that description," Gladwell claims. One wonders why he is so certain that the Americans who heard this absurd comment did not "bat an eye." Nor does he grasp that the individualist gospel that he rejects is more reassuring and more inspiring to most Americans than the social luck that he celebrates. Gladwell appears to believe that a renewed social Darwinism has taken over the United States. In this vision of America, IQ scores are fetishized, admittance to Harvard is the only measure of a man, and the historical legacies of racism and poverty are entirely ignored. Fortunately, Gladwell is around to remind us that success is determined by more than inner strength, though his readers may be forgiven for resigning themselves to the Harvard determinism. Gladwell is rather a slippery writer; he does not make philosophical commitments. Some people who read Outliers may argue that he gives too little credit to individual resilience. Others may contend that he manages to find a near-perfect balance in weighing the internal and the external. What almost no one would dispute is the boring truism that both factors play tremendous roles in shaping the life of every individual. Maybe the Bush years have left common sense looking like dissidence, but common sense is the most that the outlier Malcolm Gladwell has, in the best of circumstances, to offer. Even when his thinking is right, it is weak. Isaac Chotiner has written for The Times Literary Supplement, The New York Times, and The New Republic.